My son loves his yellow bike! 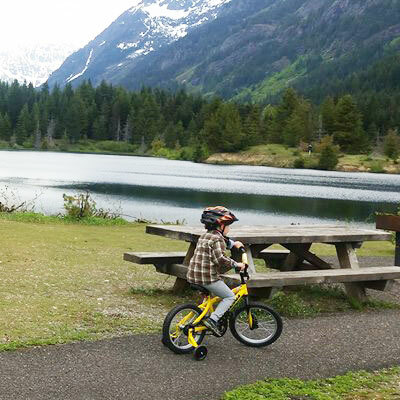 We took this yellow bike to all our outings this year and it worked great! My son sometimes refuses to hike and for our hiking family this was a big problem that had to be approached wisely. We solved it by accident by getting this bike. Now "hiking" has become "biking" which in my son's mind equals great fun! Welcome to our active family mister yellow bike! As a mother of three kids, and a busy business owner I don't have abundant extra time to go shopping item by item for all that our family needs. Amazon Prime was the answer to all our needs! If you order your items today you can get them in your doorstep by tomorrow. Disclaimer: Please note that some of the links here are affiliate links and I will earn a commission if you purchase through those links. My kids have personally used all of the products listed below and I only recommend them because they are fantastic products that I trust.